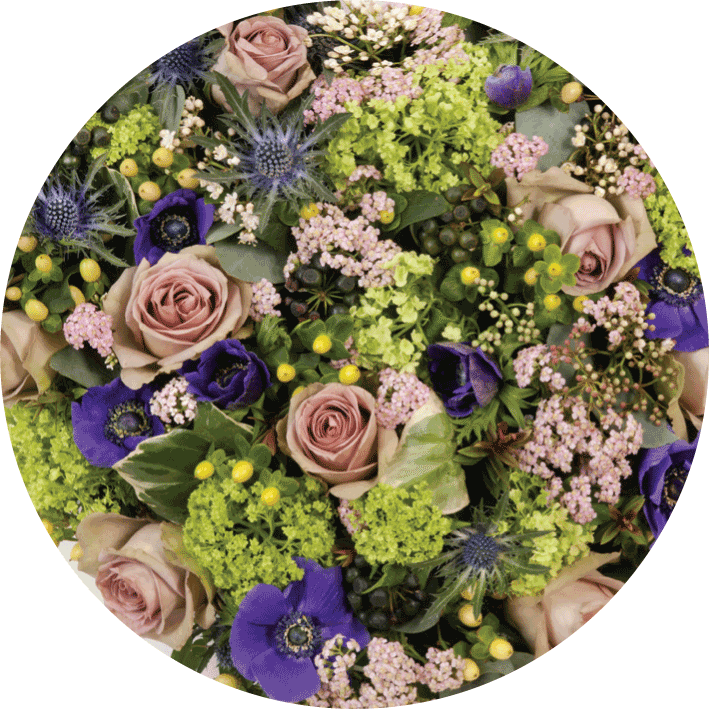 All our floral tributes come in different shapes and six different colour schemes. 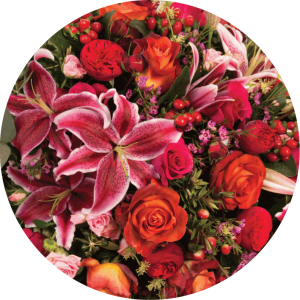 These are only a few examples of what we can do, we are very flexible and can create any floral tribute to suit your individual needs. 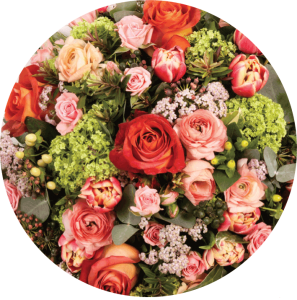 We will always try to incorporate fragrance into the arrangements as we feel this helps to lift the spirit and brings comfort to those who surround the flowers. 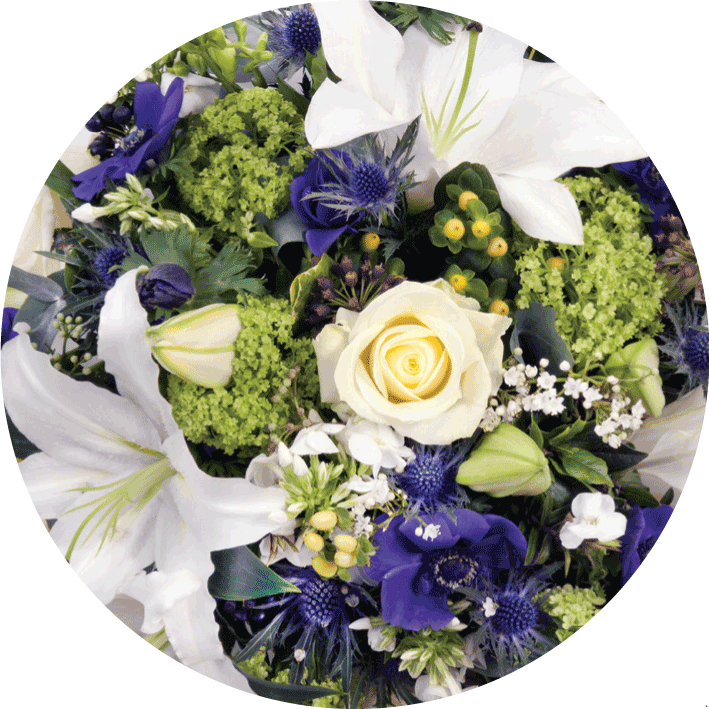 We also have a range of bouquets that can be send to someone who’s in your thoughts, whatever the occasion. 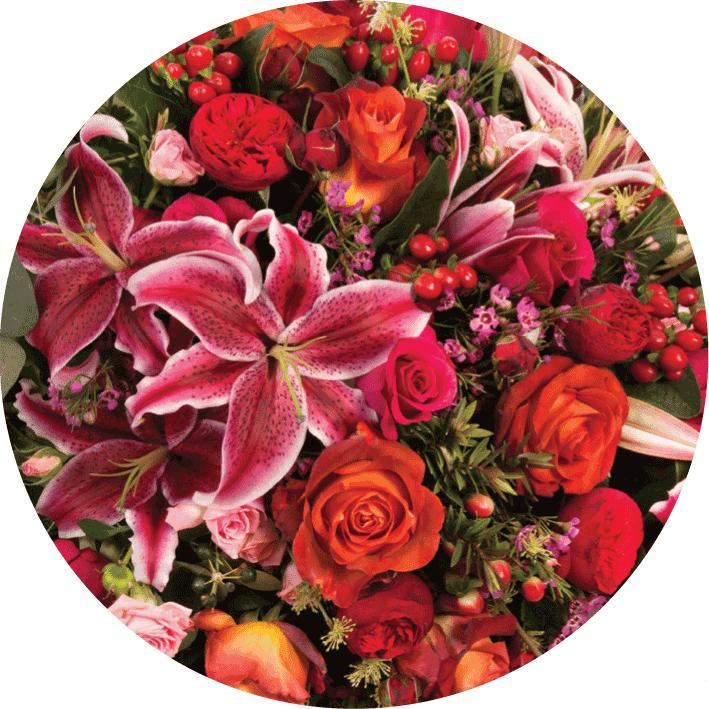 Because flowers are not only solace in grief, but are suitable to brighten up any occasion. 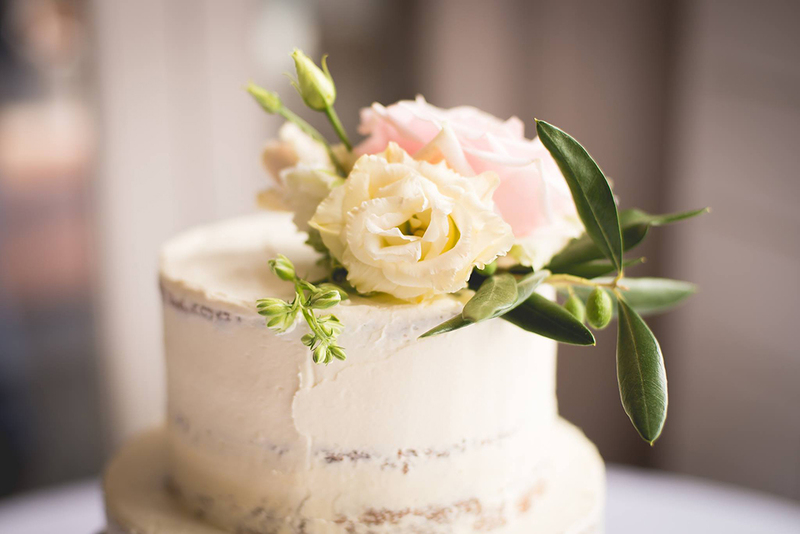 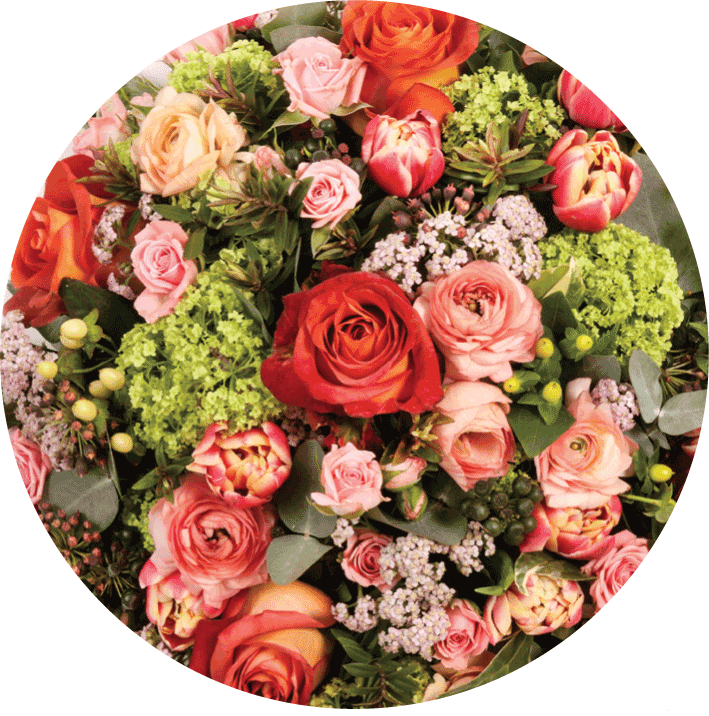 Please note that we might have to vary some of the flowers or foliages according to seasonal availability. 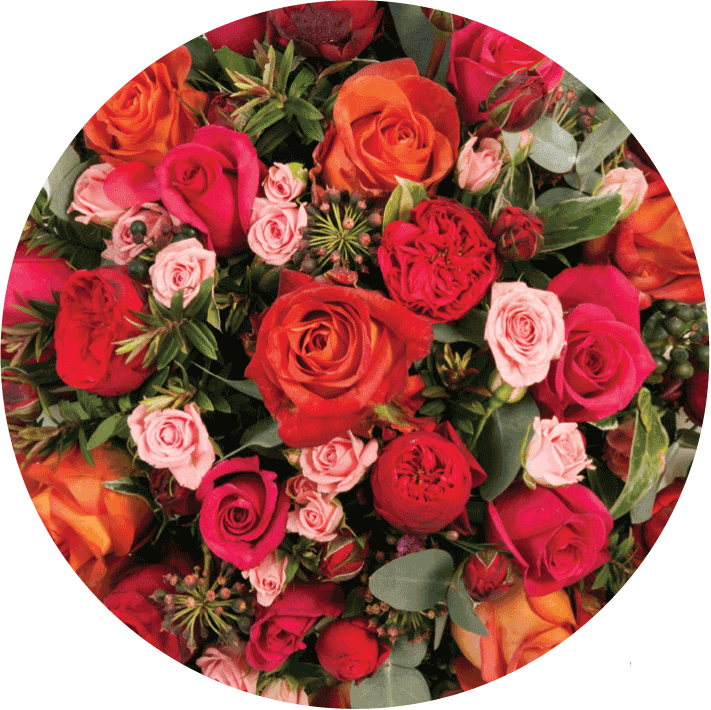 A selection of spray, garden, scented and big- headed roses in a colour of your choice with seasonal foliage. 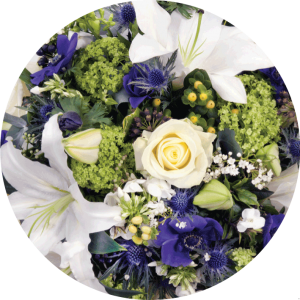 White oriental lilies, avalanche roses, phlox, freesia, cowparsley, gelder rose, thistles, cream hy- pericum and anemones with selected seasonal foliage. 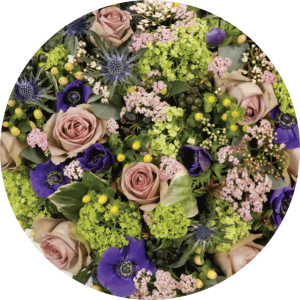 Amnesia roses, oriental lilies, anemones, achillia, thistle, freesia, phlox, hypericum, gelder rose and selected seasonal foliage. 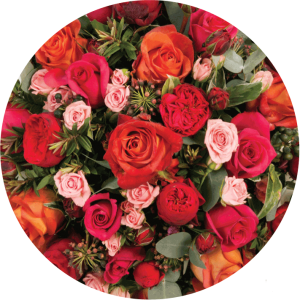 Leonidas roses, garden and spray roses, Pink Floyd roses, stargazer lilies, hypericum and wax flowers with selected seasonal foliage. 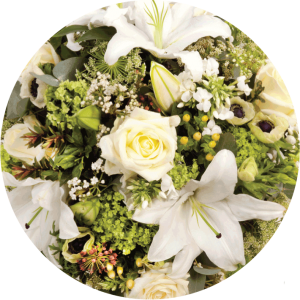 Avalanche roses, oriental lilies, phlox, cowparsly, freesias, hypericum and gelder rose with selected seasonal foliage.